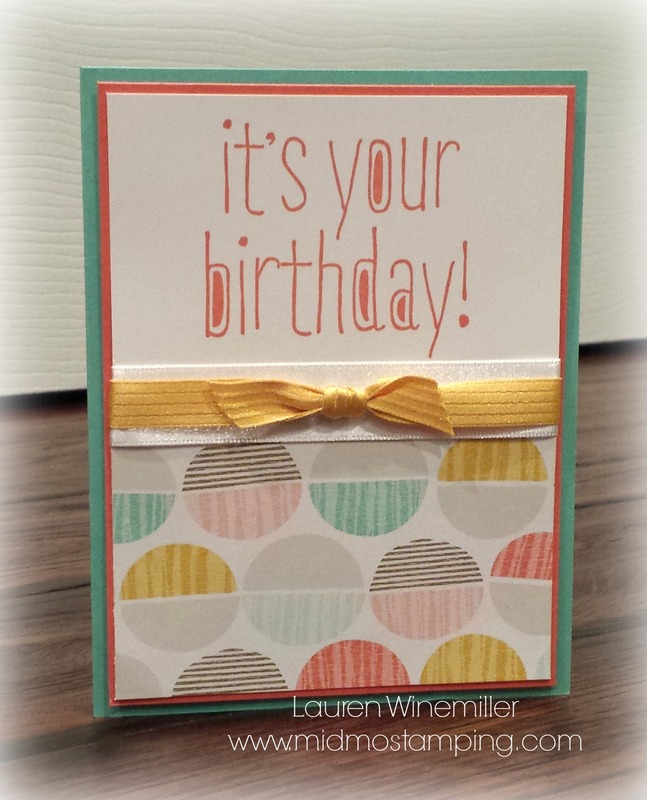 I hope you’re not tired of the NEW “Best Year Ever” Sale-a-Bration Designer Series Paper. Not only do I LOVE the fun colors and designs, but I also LOVE that it’s just one of the many FREE items you can select from the 2015 Sale a Bration Catalog! 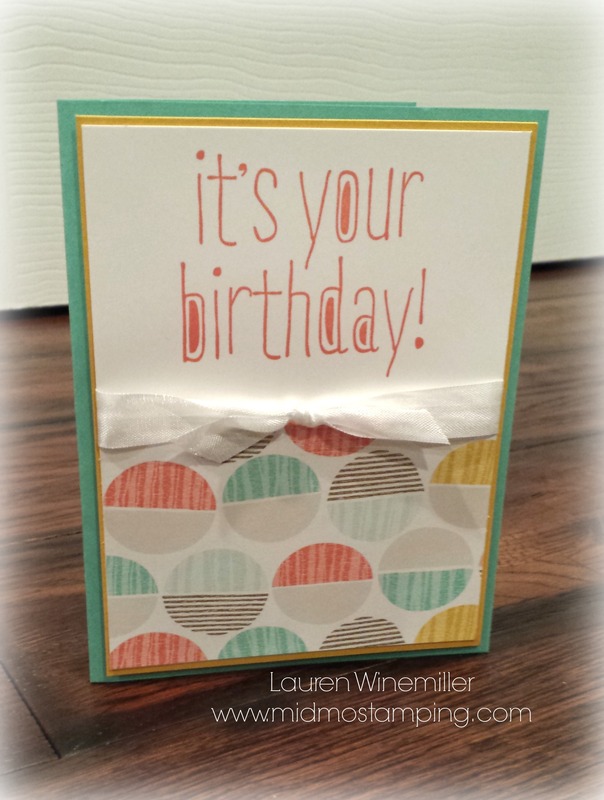 Paired with the “Big News” stamp set, this clean and simple layout makes quick cards in no time!